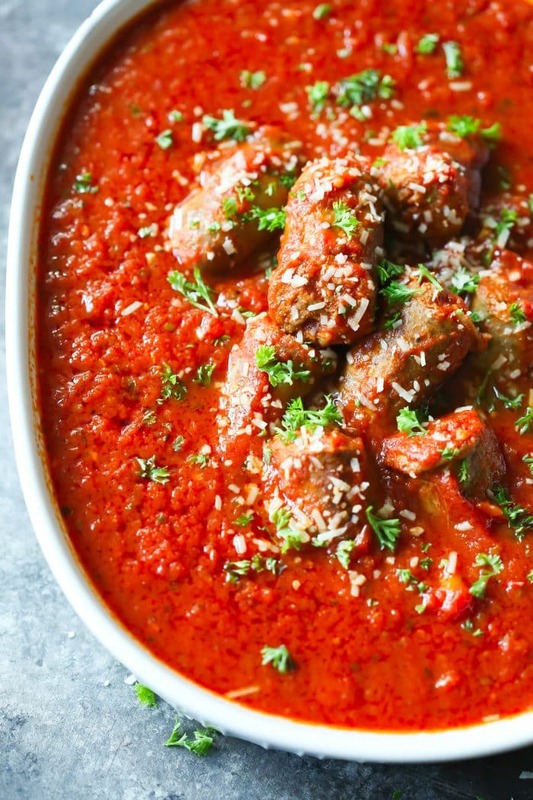 This Italian Sausage Tomato Sauce is loaded with tomatoes and spices. It’s great over zucchini noodles, pasta, mashed potatoes, and even on its own. I’m very excited to share this Italian Sausage Tomato Sauce recipe. It’s a traditional recipe from my husband’s family. In fact, this recipe was one of the first ones I had at my in-law family dinner parties. When I first tried it, I was impressed by the flavor, texture, and thickness of this sauce. Mm… So good! It’s a recipe everybody in his family loves and it’s a hit even with the children. 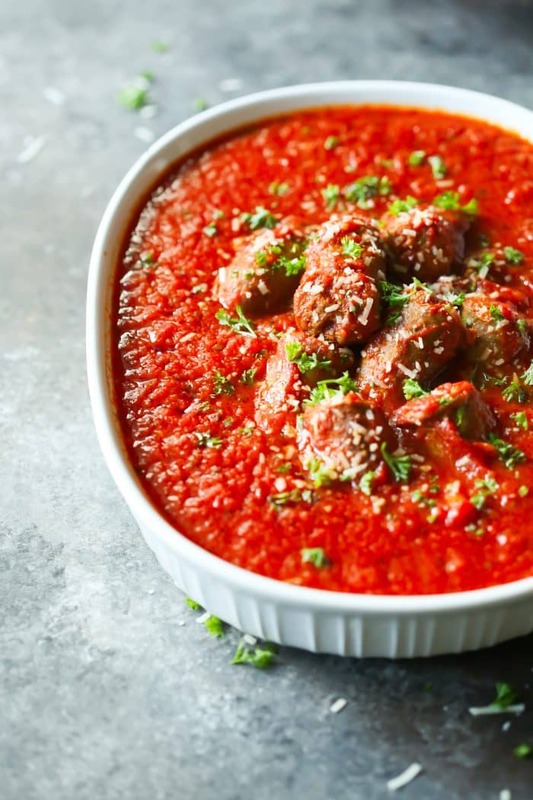 I’ve always wanted to learn how to make this recipe and the last time my in-laws came to Toronto I asked my mother-in-law to make this sauce with me. Of course, she was happy to teach me and we had fun making this Italian Sausage Tomato Sauce recipe together. When we were cooking together, she told me her mother-in-law who was Italian and a wonderful woman (I miss her) taught her how to make this sauce. And now my mom-in-law passed it on to me. I asked her if I could share on my blog and she loved the idea. So, here I am sharing this family recipe with you. When we were making this recipe, my mom-in-law said the most important thing about this recipe is the quality of the tomatoes. I totally agree with her because it’s the main ingredient. She really recommended the San Marzano tomatoes and you can buy the cans easily at a very good price at Costco. It has just the right amount of sweetness and acidity and it’s definitely the first choice for making marinara sauce. Another essential tip is to leave the sauce cook at low heat for at least 1.5 hours. If you have time, you can even cook for longer. This will make the sauce more flavorful and thick. Also, don’t forget to taste to adjust the seasoning. But be careful with the amount of salt you add in there since, depending on the brand of Italian sausage, some come already salty. So, that’s it. This recipe is great on its own or on top of zucchini noodles (if you are on the low-carb and gluten-free diets), pasta, polenta, and mashed potato. 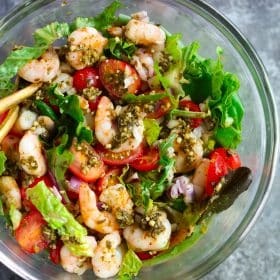 I really hope you enjoy this recipe and give it a try. 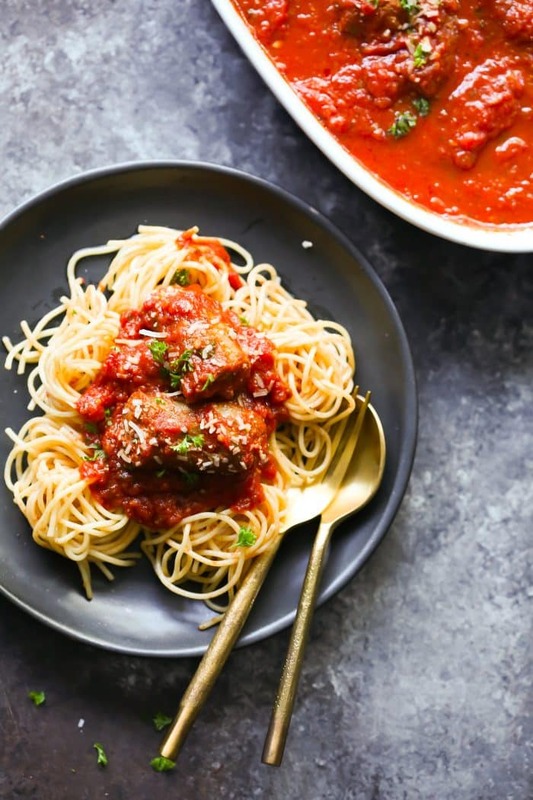 This Italian Sausage Tomato Sauce is loaded with tomatoes and spices. It's great over zucchini noodles, pasta, mashed potatoes, and even on its own. In a saucepan, heat 2 tablespoons of olive oil over medium heat. Add bell pepper, garlic, bay leaf, red pepper crushed, dried parsley, salt, and black pepper. Cook everything for about 3 minutes. Remove the bay leaf and set aside. Add the 2 cans of whole tomatoes, including the juice. With a hand blender, crush the tomatoes. Be careful to not blend the tomatoes too much. You should leave few pieces of tomatoes in the sauce. Add brown sugar and water. Cook for more 3 minutes. Add back the bay leaf. 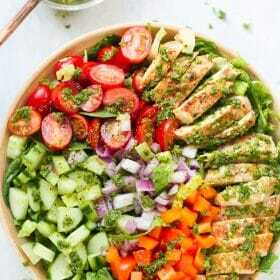 Add pesto and cover the pan. Once you've reached the boiling point, lower the heat to bring to a low simmer. Don't forget to stir occasionally. Meanwhile in a skillet, heat 1 tablespoon of olive oil. Add the Italian sausages and sauté until they become brown from the outside, but raw inside. Cut the Italian sausages in three pieces each and add to the tomato sauce. Cook at low heat for about 1.5 hours. You can also cook it for more time (3-4 hours) if you have time. Before serving, remove the bay leaf. You can serve it over spaghetti or zucchini noodles. 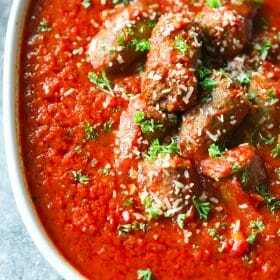 And if you like this Italian Sausage Tomato Sauce recipe, please share with your friends and family. Do you want to taste more? Subscribe to my newsletter and follow Primavera Kitchen on Twitter, Pinterest, Google+, Instagram, and Facebook for all delicious recipes updates. As always, I really appreciate you stopping by.